It has been a wonderful start for Interschutz, the most important exhibition for fire fighters, rescue and safety in the world. 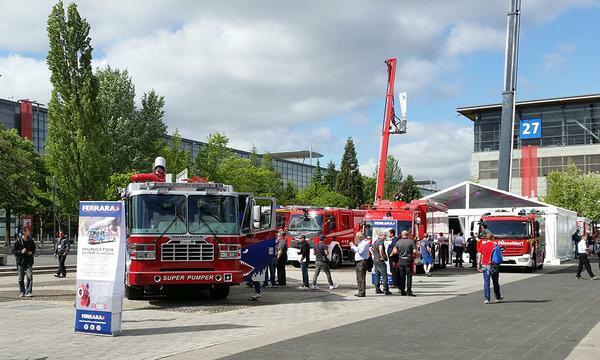 Monday was a good day for the trucks and for the biggest exhibitors of vehicles. Tuesday will be focused on another part of the demonstration. The Holmatro challenge will start at 9.30. An extrication game between the most experienced firefighters. And there will be also another interesting meeting. Cancer among Firefighters, a medical meeting to know more about the professional’s risk about health in Firefighting.